What's The Cunard Queen Victoria Like? 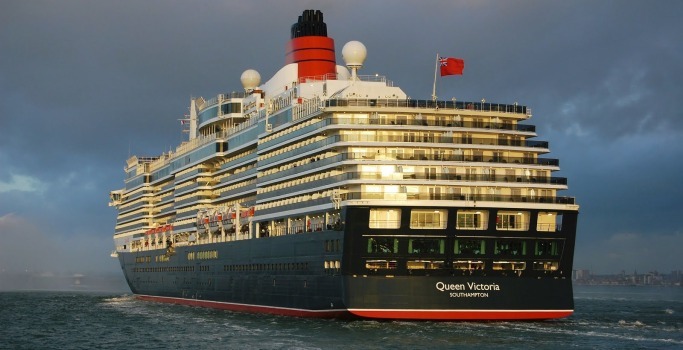 Launched in 2007, the Queen Victoria is an exclusive cruise ship which is owned and operated by Cunard Cruise Line. Like her sister ships, Queen Elizabeth and Queen Mary 2, Queen Victoria offers the ultimate cruise with impeccable service, exquisite dining options, luxurious cabins and stylish and comfortable public areas. With a capacity for 2,014 passengers and 900 crew members, the ship offers a spacious yet intimate environment in elegant and sophisticated surroundings. With elegant marble floors, rich woods and splendid fabrics, she evokes memories of traditional cruise liners from the 1930’s. Queen Victoria sails all year round and offer cruises to various worldwide destinations, including the Mediterranean, Panama Canal, Norwegian Fjords, Baltic Sea and the Atlantic Islands. Queen Victoria has culinary delights to satisfy even the most sensitive palates with traditional dining rooms, specialty restaurants, cafes and 24 hour room service for freshly cooked food at anytime of the day or night. Experience impeccable waiter service and exquisite cuisine in the stunning Queens Grill Restaurant with a la carte menu which changes daily for more variation. For an alternative dining scene guests can enjoy delicious Mediterranean fare at the intimate Todd English Restaurant with cozy alcoves for a romantic setting. For a more casual dining experience, the Golden Lion Pub offers traditional British Pub food, including fish n chips, steak pie and Sunday roasts. The pub also has an extensive selection of beers, wines and ciders for guests to choose from. The Lido restaurant also offers a relaxed atmosphere for food throughout the day, with a different themed specialty on offer each day. Whether it is relaxation you are after or something more active, Queen Victoria has both with plenty going on throughout the day to appeal to all passengers. Chill out at one of the 2 pools on deck 9, unwind at the end of fun packed day in a whirl pool or treat yourself to one of the many rejuvenating treatments at the Royal Spa. The Spa also has a fully equipped fitness centre with treadmills, exercise bikes, rowing machines, weights and various exercise classes on offer throughout the day. Other features include, on-board library, computer point, book club, art gallery, boutiques and numerous sports to keep active passengers entertained. Partake in a game of tennis, practice your golf swing or learn how to fence from the expert instructors on-board. Kids of all ages are catered for, with 3 kids clubs for kids between 2-17 years old. The hip teen zone is great for older kids with table football, air-hockey, movies, jukebox, disco’s and much more. As the sun sets, Queen Victoria is a buzz of activity with shows, cabarets, comedians, magic acts, dancing and live music taking place across the ship. Enjoy all the glamour and glitz at one of the many balls on offer, be dazzled by the stunning broad-way shows at the stylish Royal Court Theatre or dance the night away in the Hemispheres Nightclub with all the latest tunes selected by the resident DJ. The various bars and lounges on-board have live piano music and jazz bands playing each evening. There are also quizzes and Karaoke’s taking place in your own local at sea, The Red Lion Pub.